Computers are pervading into people's lives and have become an integral part of today's society. However, with the tremendous benefits come some serious problems. More and more people are at risk for carpal tunnel syndrome and tendonitis, which cause pain while typing and have long-term debilitating affects on a person's health. Proper typing posture is the number one way to prevent carpal tunnel syndrome and tendonitis. Too many people, however, fail to ignore their posture while typing and gradually develop harmful typing habits. What they need is an app that tracks their typing posture while they type and notifies them if they start using incorrect posture. That's where Alleviate comes in. 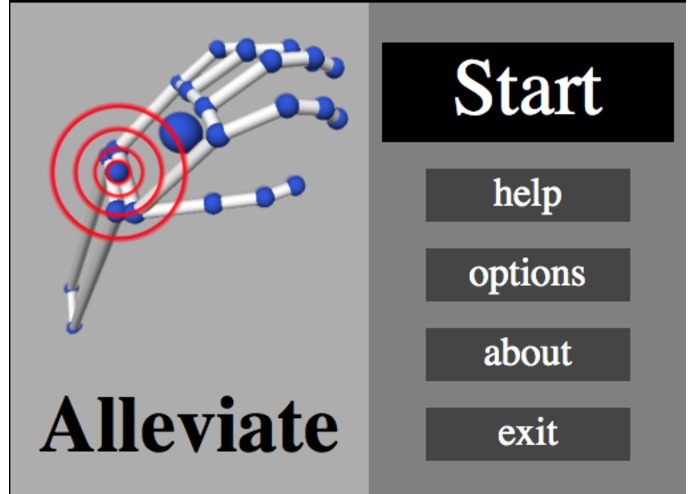 Our app uses Leap Motion to track wrist and finger movement while typing to make sure the user is using proper posture. After prior research, we have determined that the correct posture is where the hand is parallel to the keyboard and not resting on the laptop. The fingers are also extended at a certain length to prevent tendonitis. 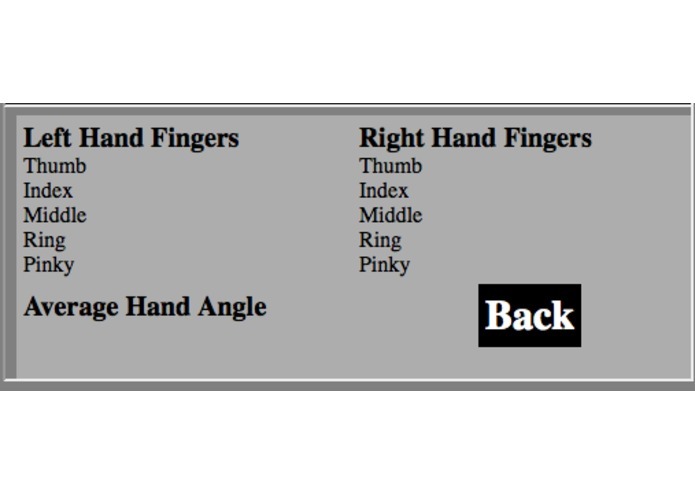 The app tracks two variables: the extension length of each finger and the angle of the wrist. The extension length of each finger is calculated using the magnitude of distance for each vector component and multiplying it by the angle that component makes with the plane. 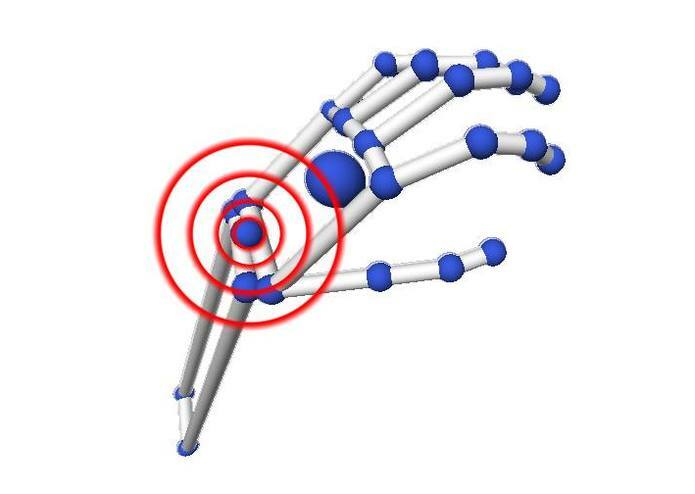 The angle of the wrist is calculated using the Leap Motion device. We have determined a range for the proper extension length for each finger and the proper angle of the wrist. So when a user is typing, the app will be running in the background and will alert the user if their posture is incorrect. The app also has an additional feature, “perfect ghost posture”, which allows the user to visualize their form in comparison to a perfect silhouette. Typing may not seem like a major task, but if done wrong, it can have huge detrimental effects. As society becomes increasingly dependent on computers, it is imperative that we all make sure we type using proper posture. Our app is a major step that helps prevent diseases such as carpal tunnel syndrome and tendonitis, taking the pain out of typing forever! 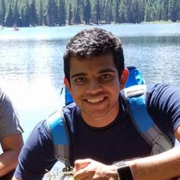 I created the webpages, worked on design and connecting and debugging the parts of the application.